A hat trick of deals has confirmed a resurgence of activity on Wearside, with investors showing keen interest in the city’s retail and leisure sectors, property advisers have said. The Sunniside leisure complex, anchored by Empire Cinemas has been acquired by Lumina RE Capital for £13m, a deal reflecting a 7.2% initial yield and coming in at £3.7m more than it sold for in December 2010. Property adviser DTZ also sold the 108,000sq ft Wilkinson’s department store on Fawcett Street in Sunderland for £7.5m, giving a net initial yield of 7.1%, and, more notably, the sale of The Bridges Shopping Centre to AEW for £152m represented a major milestone for the city. DTZ said the trio of lucrative deals typify the confidence emerging in Sunderland, where investors are keen to seek out retail and leisure space, while also demonstrating the strength of the recovery in the investment market and the improved investor sentiment for Sunderland. Richard Turner, senior investment director at DTZ’s Newcastle office, said the Sunniside complex attracted especially strong interest. 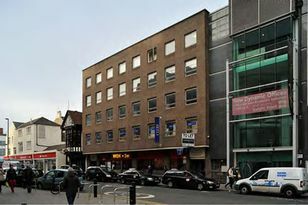 He said: “There was strong interest in this asset from a wide range of investors, attracted by the security of income and prime city centre location, together with a very well trading store. Turner said there is still a substantial weight of capital wanting to get a foothold in the city: “Classically retail is the first property sector out of a recession however we have seen this turned on its head over the last couple of years, with the resurgence in manufacturing which has meant the industrial sector has lead the recovery.